De Bollenstreek is located on the beautiful North Sea beach. The seaside resorts Noordwijk, Katwijk, Zandvoort and Scheveningen with many kilometers of sandy beach, are very popular with beach lovers. Below an overview of all beach clubs. Where are you going to enjoy? 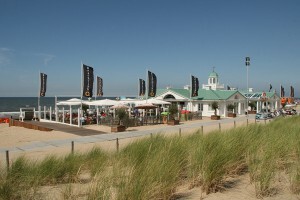 Noordwijk is the luxury seaside resort of the Netherlands. Along the beach there are many beautiful beach clubs where you can enjoy a lunch, dinner or just a drink.